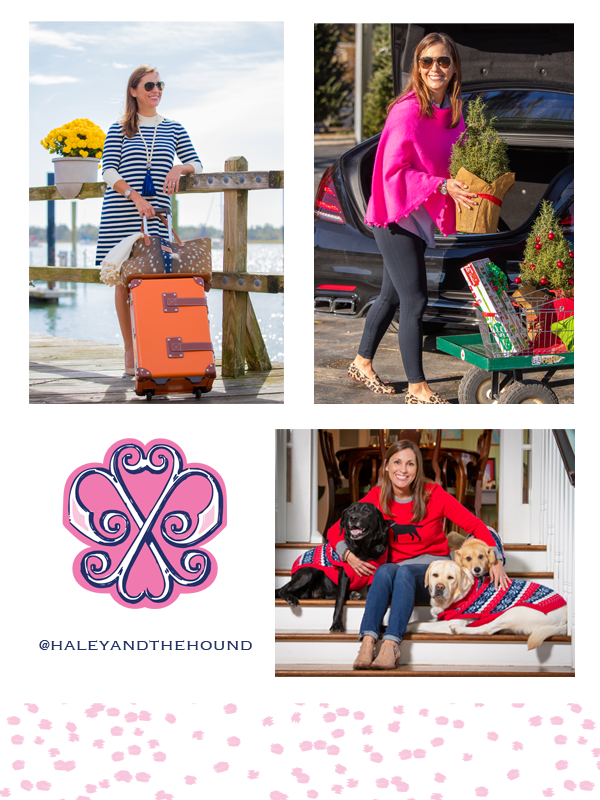 We’re a huge fan of the brand Haley & the Hound. With a dog in their logo how could we not be? 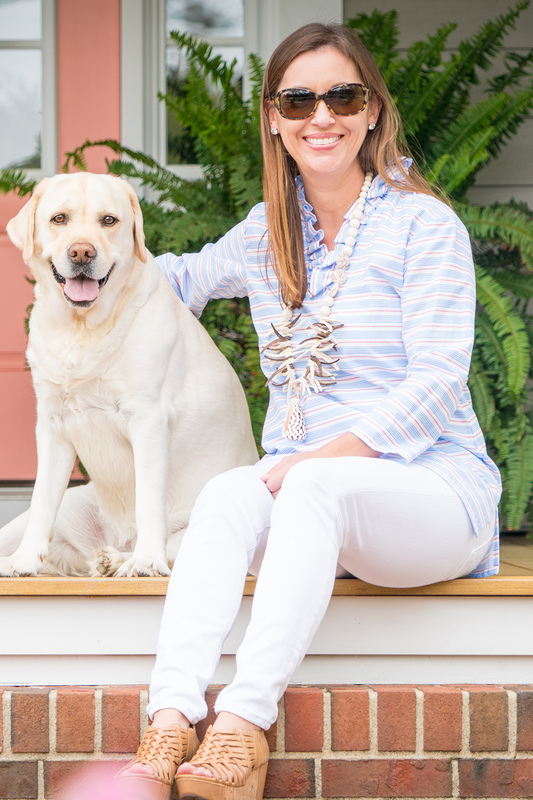 The brand is full of bright colors, preppy prints and great everyday pieces that just make you happy! We chatted with the founder Booth Parker to find out more about her and her brand. 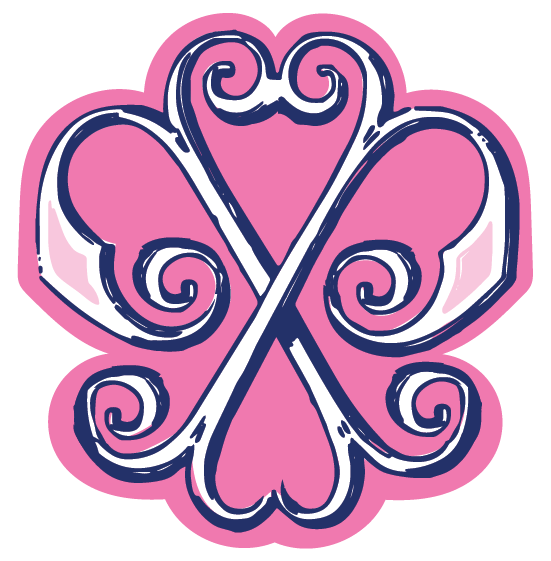 I started Haley and the Hound as a creative outlet to escape my corporate job as a CPA in my spare time. It was more of a hobby for several years and I kept it very small so I could manage it with limited hours available. I enjoy sewing and creating new patterns so it began as therapeutic relief to financial statements and tax returns. Follow what you are passionate about and stick with it despite what others may push. I spent way too long doing a career I didn’t love because I was pushed to do it and I felt obligated to please others. The more passionate you are about what you do, the more successful you will be and the more joy you will have in your days. It has helped bring brand awareness and it allows our products to be seen in a setting where people can see how they fit into their lifestyle. The engagement and comments from promotions and features is a great guide to knowing what followers are most interested in. We recently added swimwear and have deepened our sweater offerings so that we can expand our retailer network. Originally, we made home goods such as tablecloths and decorative pillows and I would like to bring some of that back as we continue to grow and expand. Making the break from corporate America and making Haley and the Hound my only career focus. My motivation and happiness has only grown with this life decision and being a #momboss has been so wonderful because I don’t miss the specials moments with my son and husband anymore!